Traditional Values from an Untraditional Mind: No, Hillary, you don't care about children, and you're not fooling us. No, Hillary, you don't care about children, and you're not fooling us. Recent events have taught us how unashamedly liberals parade their immorality in front of us. Used to, things like homosexuality, corruption, and adultery were things that people tried to hide. Now it’s flaunted. And if you dare question them, hell will be raised. 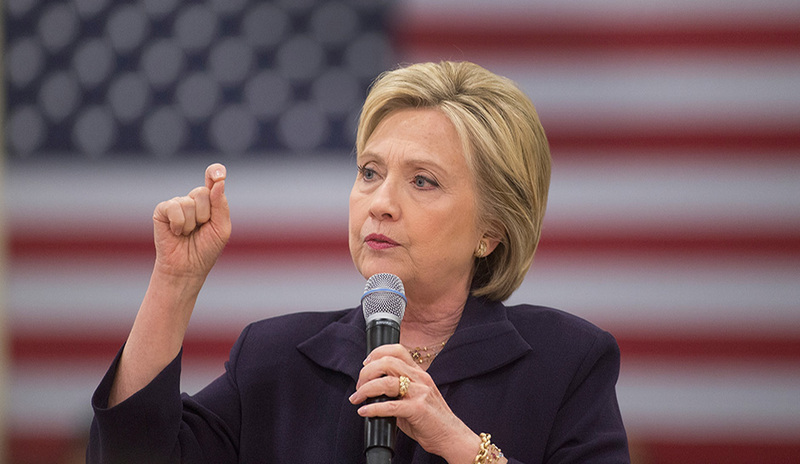 The queen bee of Progressives, Hillary Clinton, has championed this newfound super power. After allowing four Americans to die at the Benghazi embassy when she refused to send help, she used private email servers to send 30,000 emails, many of them with classified information, over unsecured networks in hostile countries. Then she deleted the evidence. And yet, after all that, and FBI Director James Comey admitting her wrongdoing, she was let off the hook. The woman (in case you haven’t heard her mention it during every speech, she is a woman) has built her entire identity as a candidate on being an advocate for and protector of children. For the sake of staying on task, I’ll set aside the shaky facts put forth by the Clinton campaign and focus on the utter gall of her hypocrisy. That’s the definition of “pro-choice”, right? No, that’s the definition of “pro-abortion”. So when I describe Hillary Clinton as pro-abortion, don’t make yourself look foolish by claiming she isn’t. So to translate, Clinton is a protector of children, unless they aren’t born, then murdering them is okay as long as it’s safe for the woman that pays to have her child be killed, and it doesn’t happen too frequently. Everything in moderation. The qualifications for something to be alive: growth, metabolism, cellular reproduction, response to stimuli; the preborn meet these criteria. 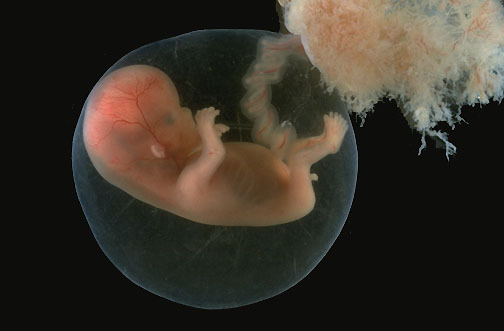 The preborn are whole, meaning that they develop. They aren’t put together. 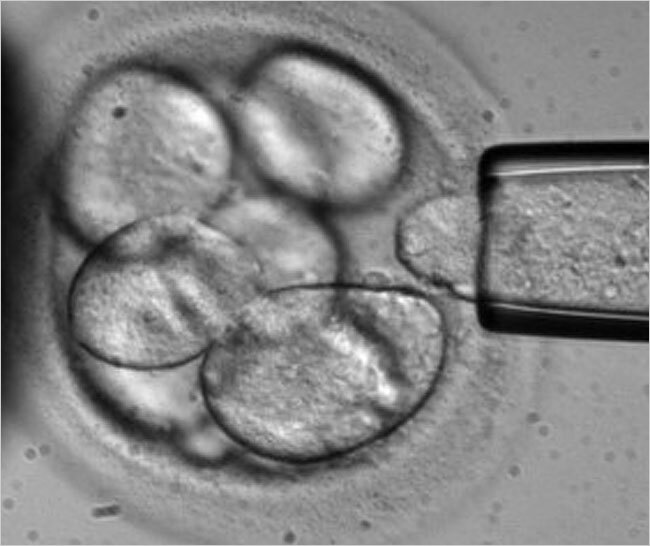 Everything that a human is came from his or her initial cell at fertilization. The Law of Biogenesis states that everything reproduces after its own kind. Humans can only reproduce other humans. Chelsea Clinton is a human, not a tomato. The preborn are distinct. They have unique DNA separate from their mothers; therefore, they are not “part of a woman’s body”. These are things we’ve known for a while. They can be found in any embryology textbook. They’re taught in every embryology course. Clinton says “the potential for life begins at conception” as if babies can become alive at a different stage of development. I would claim ignorance on her behalf, but Clinton is not stupid. No, this is a calculated statement to ignore reality. The preborn are not “potential life”. They are life. Human life. What else could they possibly be? Keeping something intentionally vague to serve political purposes is unabashed evil. Hillary Clinton knows that the people being aborted are young, innocent humans, and she doesn’t care. But she cares about children. So she says. "Jews are not welcome here." That’s funny, wasn’t it government that legalized abortion in the first place? The hypocrisy is blatant, as she claims to be a champion of the rights of children yet doesn’t think the government should interfere with dismembering preborn children. This sort of arbitrary line drawing is how women, or Jews, or blacks were oppressed in the first place. We ignored the fact that they were human to further our own agendas. 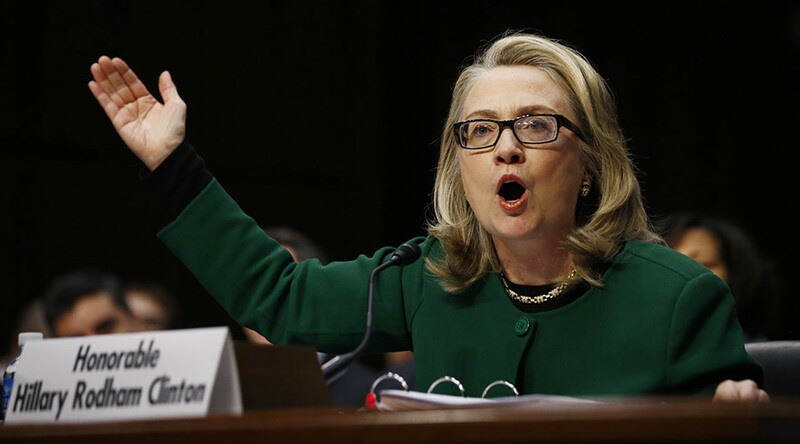 Clinton is building a successful political career on the broken bodies of human children. Before her 2008 presidential run, Clinton’s attempt to find common ground with Republicans on abortion was called a “makeover and move to the center that she's now attempting” by the Wall Street Journal. Could Clinton’s views have shifted over time, or has she at times masked her extreme views to a society she wanted to woo? Putting ideology before science. Like ignoring the humanity of the preborn to further one’s political career? Of course, this is not a ban on all stem cell research. This was a ban on embryonic stem cell research, where tiny human children are created with the express purpose of harvesting their stem cells, killing them in the process. The even more bizarre thing is that there has been success with using adult stem cells, but not embryonic stem cells. But, consistent in her care for children, Clinton wants to ensure the youngest of them can be created to be killed for scientific research which can be done successfully without taking any lives. 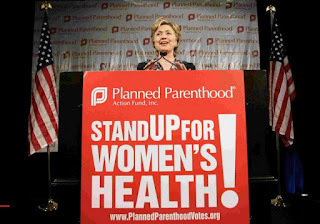 During the recent campaign, Planned Parenthood donated $20 million (not bad for a nonprofit) to Hillary Clinton’s campaign to ensure that they have a strong supporter in the White House again. 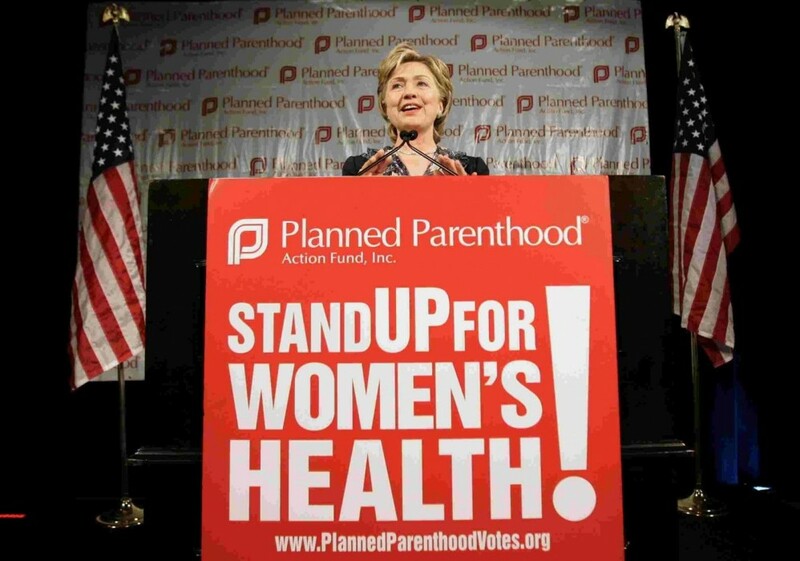 Clinton has said that she “admires” Planned Parenthood founder and racial eugenicist Margaret Sanger. She was “honored” by their endorsement, and the gift from the organization that takes 330,000 preborn lives annually and harvests the body parts of their victims is telling of her views. Notice anything missing? There’s no mention of “rare”, nor a denial that she supports abortions on the due date of a baby. Both of these contrast “beliefs” she held earlier in her political career. Now, Clinton being the political whore she is, these views could move towards the center when it suits her in the general election. Regardless, we are dealing with a Progressive that fully supports abortion, in the most radical ways possible. She believes the dismemberment of preborn children should be a right that is protected, supports using young children for scientific research, and receives donations from an organization that profits off of the killing of children. And she actually expects us to be fooled by the claim that she fights for the needs of children everywhere?